This post concludes and recaps our series on handling pedestrian accident cases in Rochester, Minnesota. Many victims are unsure about how to proceed after an accident. Taking immediate action helps ensure that the victim receives the compensation to which he is entitled. Delays can adversely affect a victim’s chances of receiving a full award. Our last several articles have provided information to help people fully understand their situation and to help people make an informed decision when selecting a personal injury attorney. If you or a loved one have been injured, contact our office today to speak with a lawyer. We chose to address these issues for a number of reasons. First, these types of cases often involve disputes as to who was at fault. It is typical for a driver of a vehicle to say that his victim was crossing against a red signal or was otherwise somehow negligent in causing the collision. Understanding how fault is established in these matters is crucial. Second, cases involving commercial defendants are often highly complicated as they typically involve multiple parties. Third, expert witnesses are often required in cases involving serious injuries to establish the extent of a victim’s financial losses and permanent disability. Fourth, a victim cannot expect a settlement demand to be sent immediately to insurance adjusters, unless the injury is very slight. The injured person’s need for future care must be reasonably ascertained before a demand can be made. This means that some appreciable amount of time has to pass before a demand is submitted. Finally, understanding what to expect from the litigation process helps ensure that things go more smoothly. One point we have stressed throughout each of these articles is the need to contact and hire an experienced personal injury attorney. Retaining counsel who will see your case through to completion, as opposed to accepting an initial settlement offer, is important to ensure that you or your loved ones will receive the highest possible recovery. Our firm has recovered more than $125 million on behalf of our clients and we are ready to assist you. 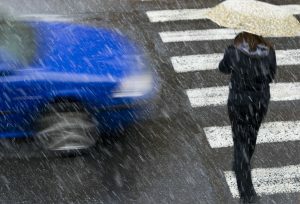 Contact us today to speak with a Rochester pedestrian accident lawyer.